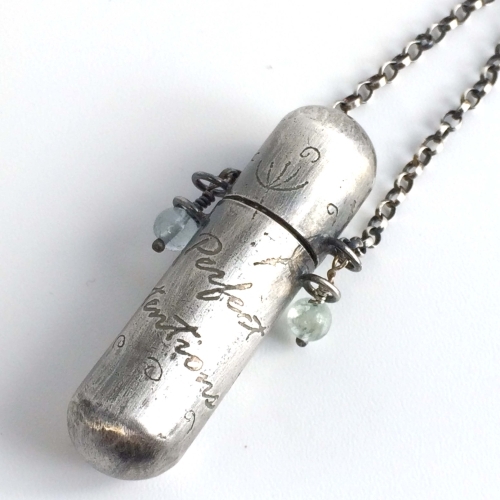 This sterling silver locket is etched with the words and symbols of your choice. At around 5cm in length, it's big enough to hold your dreams and secrets. 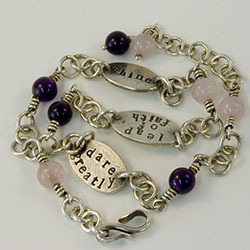 The heavy silver chain holds the locket cap in place and is tipped with gemstone beads. Choose a gemstone to enhance your intentions. This sterling silver bracelet wraps twice around the wrist, has up to three Intention Pebbles and fastens with a hand-forged S clasp. Choose stones that resonate with your intention.